By buying this product you can collect up to 79 loyalty points. Your cart will total 79 loyalty points that can be converted into a voucher of ₹ 19.75. Joker Five Stacker is a educational toy. 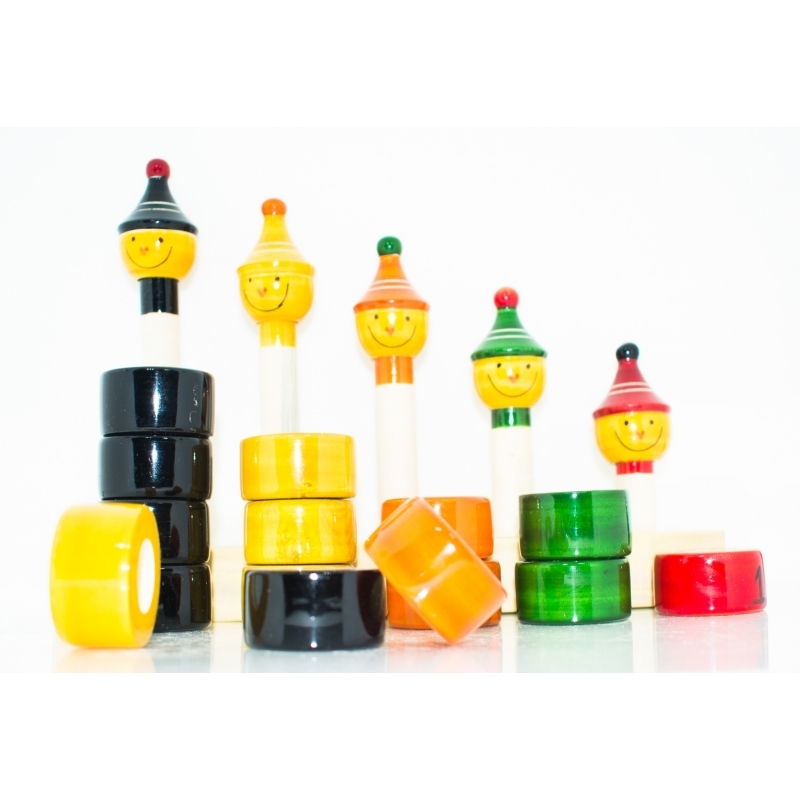 This colorful joker stacker helps children to learn counting and to understand number concepts. Playing with this toy children learn about increasing and decreasing quantities and color identification. 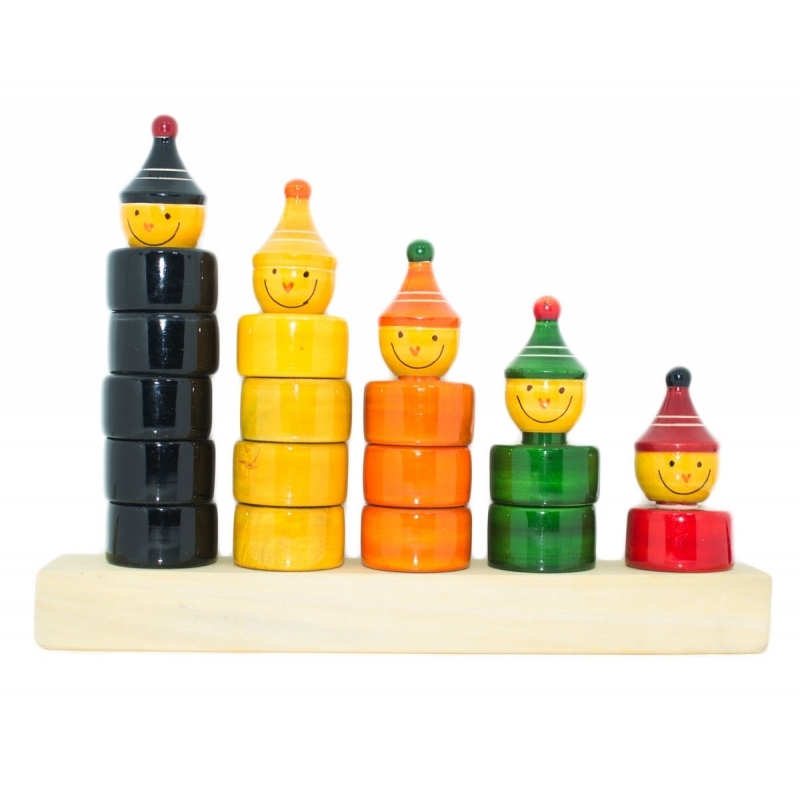 Joker Five Stacker is a wooden educational toy handcrafted by Channapatna toys. This colourful five stem stacker aids children to learn counting and to understand number concepts. Playing with this toy children learn about increasing and decreasing quantities and colour matching. The product is made of Hale wood and finished (coated) with Lacque material, which is natural dye, and hence its harmless for your little ones. 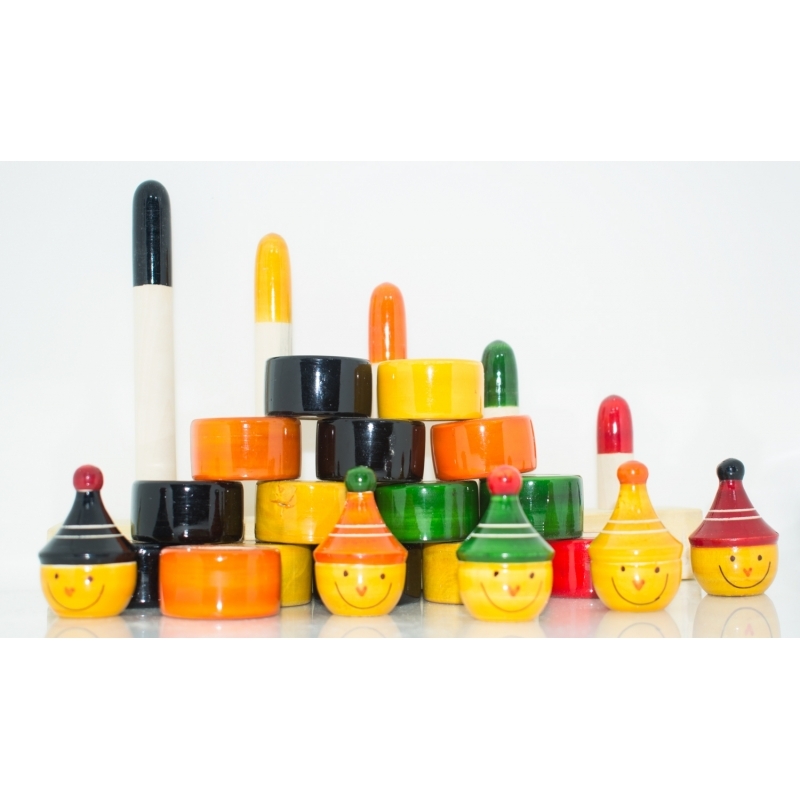 CHANNAPATNA TOYS is initiative of channapatna artisans specialized in manufacturing and retailing all kinds of Wooden Handicrafts, Custom wooden gifts, Wooden Engraved Gifts, and Corporate gifts.